Why was your Agent hitting a wine bottle with his shoe? I was reminded of an amusing vignette yesterday arising from Robert Halfon's visit to West Kent last week and thought I would post it here for weekend amusement. Having welcomed Rob to the event in Chatham & Aylesford, Jon and I dashed to Kings Hill to set-up the evening's Christmas Reception for members of Tonbridge & Malling. This involved dressing the tables, arranging the cheese platters, organising the raffle and setting-up the bar for arrival drinks etc. We only had an hour before the guests arrived and were doing well until a worried Jon Botten appeared with a bottle of wine in one hand and a broken corkscrew in the other. We searched the drawers at the venue in search of a replacement without success and the nearest shop was 15 minutes drive away - so that wasn't an option. We did however find a metal soup ladle, the handle of which fitted into the bottle neck. "I know, I'll push the corks into the bottle and you can then pour the wine, using the shank of a teaspoon to keep the cork out of the way..."
The first attempt proved difficult. The cork was a tight fit and I had to put my considerable weight behind it to push it into the bottle, whereupon a fountain of red wine erupted and drenched me (fortunately I was wearing my customary red trousers so it didn't show). "I will take the bottles outside an open them at arms length, so if there is any spillage it won't drench me or the floor." Sadly the corks were too tight to move at arms length without any weight behind them, so I hit on an idea. I removed my shoe and started using it as a hammer to bang the soup ladle into the cork thus driving the cork into the bottle. It was quite difficult, especially outside on an damp and uneven grass verge in the dark and drizzle. But it worked. It was however hard work and in between hammering and running back and forth keeping Jon supplied with wine, I got a bit red-faced and over-heated. As I started opening bottle ten I had that awful feeling of being watched. I looked around nervously, only to spot the Deputy Chairman of the Conservative Party parked nearby with his Chief and Staff and her boyfriend also in the car.. All three were staring at me in disbelief. I have no idea what they must have thought of the West Kent Agent, puce-faced and sweating, wearing one shoe whilst kneeling on a damp grass verge and hitting a wine bottle with a soup ladle, whilst letting out a string of expletives. I thought about going over to the car and explaining, but I didn't have the time and the whole thing seemed too absurd, so I gathered up my wine bottles, soup ladle and shoe and with as much dignity as I could muster, limped back to the reception, waving confidently to our guests as if my behaviour was perfectly normal. The three of them nervously waved back. I am pleased to report the reception was a success, but towards the end I was chatting to some friends and Rob Halfon was behind me talking to Tom Tugendhat. I then heard him ask, "when I arrived your Agent was outside, kneeling on a grass verge, hitting wine bottles with his shoe....what do you think he was doing?" To which Tom, without flinching or hesitation replied, "having worked with him for two years, I have learnt there are things it's best not to ask." I thought I should set the record straight. Colleagues elsewhere often remark how fortunate we are to have such a large and willing team of helpers - and they are right, we are. However building and retaining a team takes time and effort. 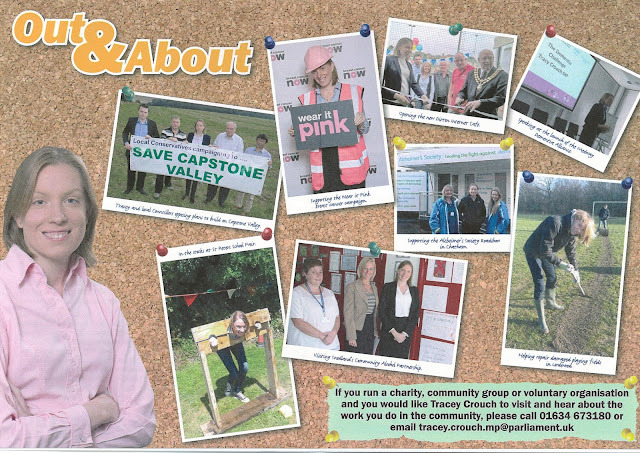 One of our regular volunteers, who drives from a far away constituency a long way outside West Kent, told me recently that the reason the help here and not "at home" is they feel valued, know their work is important, are always made to feel appreciated and a valued member of the team. 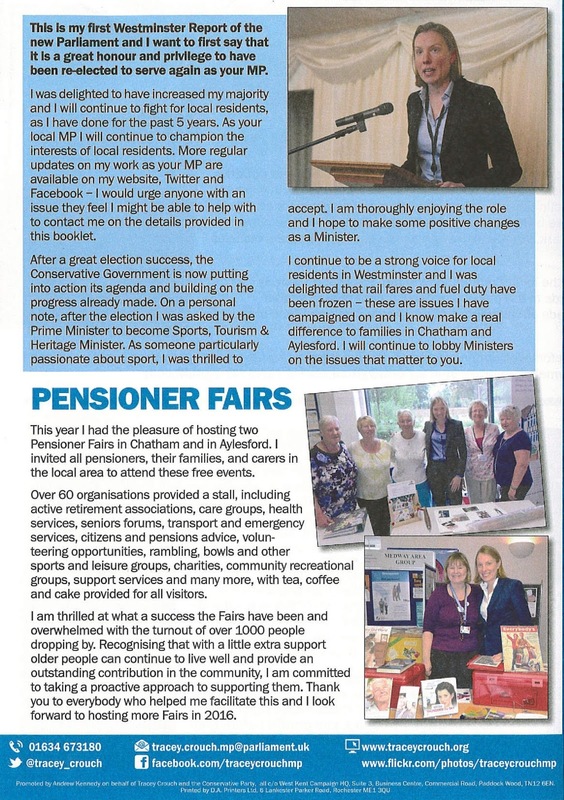 I remember from my early years being asked to go into my local office to help, and when I got there being made to feel as if the Association was doing me a favour by allowing me to come in. The Agent was a miserable, snarling distant figure who was seldom seen and the Secretary a snooty old biddy who seemed to take delight in looking down her nose as the activists. I pledged to never make the same mistakes. Whenever we have teams in the office to pack, fold, data capture or do any of the dozens of tedious jobs they willingly take on each week, we always supply decent tea, coffee or hot chocolate (from Costa, not a jar of Tesco Value) and we also lay on doughnuts, biscuits and even lunch if they are staying all day. It's the least we can do, and we do it willingly. Today we took our weekly volunteers (ie, those who come in each and every week, rather than on an ad hoc basis) to lunch at a nice local restaurant to thank them for their help and support. 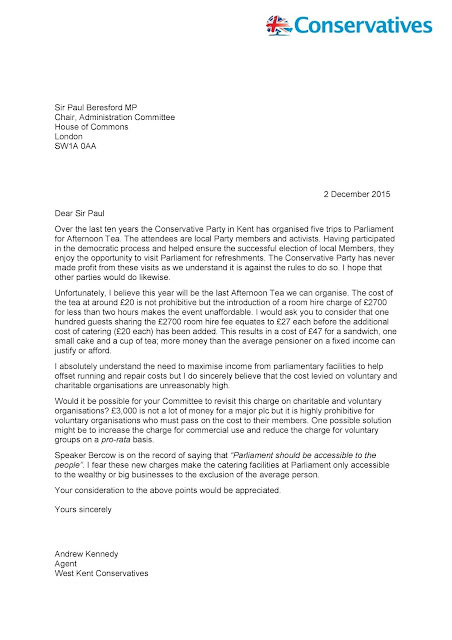 And the last job Jon and I did as we closed the office for Christmas was to send a personal thank you letter (copy below) to over 100 volunteers who have come in to West Kent Towers help over the last 12 months. Investing in people and ensuring they feel valued is key to their continued help and support, and something I suspect the Party generally and even candidates (at all levels) do not do as well or as often as they should. West Kent's Office Manager, Jon Botten, is not from a longstanding Conservative tradition. 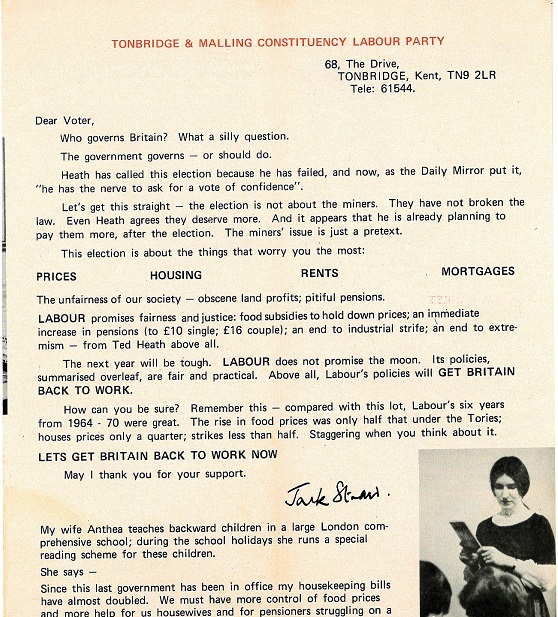 His maternal grandfather, the fabulously named A. J. G Snitter, was Voluntary Agent of the Tonbridge Labour Party through the 1960s. Mr Snitter sadly died in 2013 and left Jon his archives. 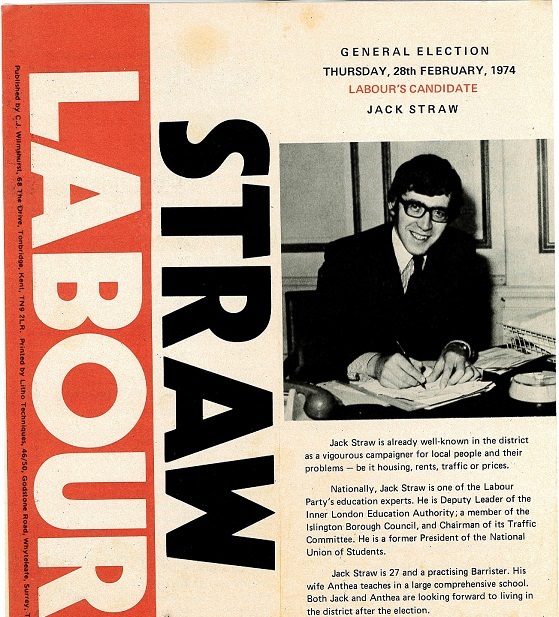 There is only so much interest in Minutes of fractious Labour Party meetings, but today Jon brought in a few gems which he has given me permission to share on this blog. And the reverse...note the words beneath his signature "My wife Anthea teaches backward children in a large London comprehensive." How acceptable language changes over time! 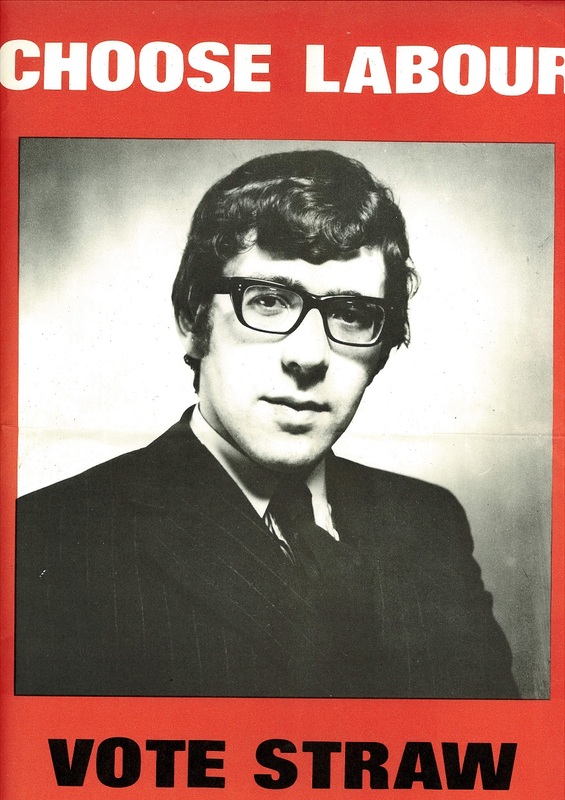 And for all those people who complain about modern campaigning being all about style and not about substance, the election newspaper below seemed to be far too much 'substance' and far too little style. This was a four-page broadsheet, each page like the one below without s single photograph to break-up the text. What's more - people had to pay 3d for the privilege to read it! 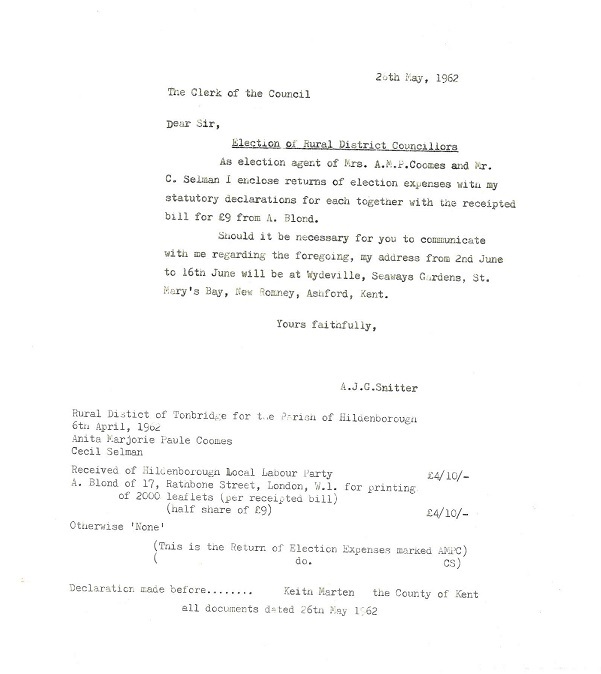 And finally, for all those long-suffering Agents, Campaign Managers and Organising Secretaries out there who, like me, rail against the 22 pages of election expense paperwork we must now complete for every local candidate, here is what was expected from candidates in 1962; half a foolscap page! Who says progress always makes things better! 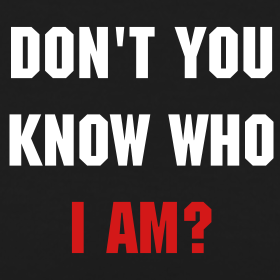 Don't you know who I am....? AK: West Kent Campaign Centre, how can I help? Voice on phone: "Now, listen here. I've received a Christmas card from this chap Toog... Tuugeeeyy....Tug-ind-dat. Or however he pronounces it. And I wish to send one back. Give me his address would you. AK: OK, the fastest way to reach him is via his office in the House of Commons, Do you have a pen and I will give you his address. "No No No. I don't want to write to the bloody House of Commons and get some slip of a girl reading my message. I want to send it to him at home." AK: I am afraid I cannot give his home address. Why ever not? He does live in the constituency, doesn't he? "But don't you know who I am?" AK: Afraid not, Sir. You didn't tell me. "I am Fanshawe-Peakes." (obviously not real name). 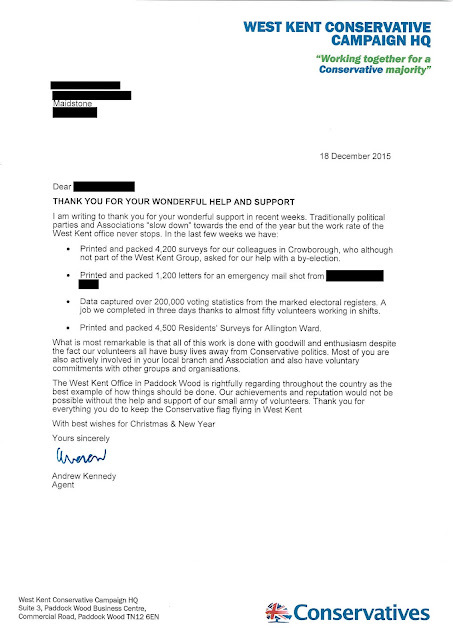 AK: Thank you, but I am afraid I don't actually know you and I still cannot give you his home address without his consent. I am sure you understand. "What do you mean 'you don't know me'. I have just informed you who I am. AK: Indeed, but as we don't know each other, I don't actually know that you are Mr Fanshawe-Peakes. "Who the hell do you think I am? The Sultan of Brunei?" AK: Well, in fairness, if you were trying to find his home address for other motives, you wouldn't phone up and say, "Hello, I am from the Daesh, can I have the MPs home address?" "Of for Christ's sake, in that case he can stuff his Christmas card. I will save a stamp. No skin off my nose." 230,000 down. 20,000 to go! 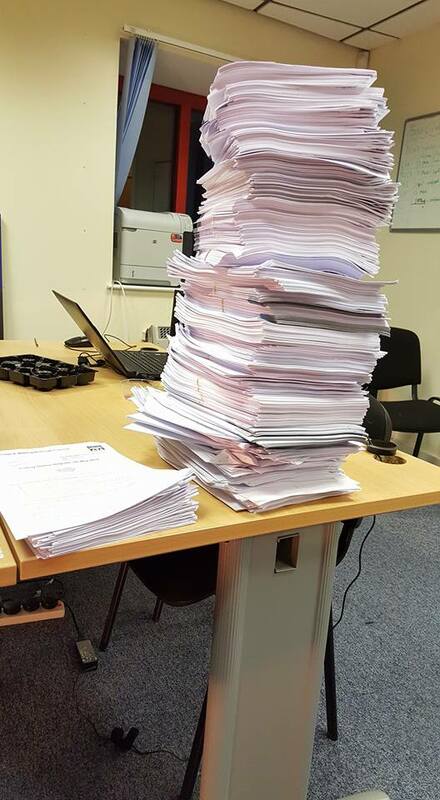 If anyone wonders what five constituencies-worth of marked electoral registers look like- see below. The slightly squiff tower on the right is what our team have data-captured in just three days. The small pile on the left is what is still to be done by tomorrow's deadline. At the start of the week when I saw the mountain, I honestly didn't think we would do it - but we will! So here's a massive thank you and a hat-tip to our great team of volunteers who have sat in front of the laptops for hour on end to get the job done! Thank you so much: Phil Griffin, Caroline Fuller, David and Catherine Adams, Owen and Chris Baldock, Vivian Branson, Michael Payne, David Gibbins, Hannah Davison, Dave Bennett, Philip Evans, Michael Povey, Elliott Self, John Cottingham,. Lee O'Toole, Chris Browne, Jouliedtte Moubayed, George and Mrs Mercieca, Sarah Hudson, Pam Mills, Dave Street, Thelma Huggett, Annabelle Blackmore, Cass Jappie, Max Martin, Frances Gibbins, Rupel Huq, Allan Sullivan, Joe Mamo, Christopher Fairfield, David Grant, Tim and Mary Streater, Elizabeth Watkinson, Sally Revell and a few others who do not wish to be named for personal reasons. For those interested in what we do and what we have planned, I am pleased to publish our end-of-year "West Kent Campaign HQ Newsletter" which we have just emailed to Members and Registered Supporters. Click on each page to enlarge or use the issuu reading tool below. I suspect there are not many Association Offices able to raise 45 different volunteers to work in shifts over four days, from 9am - 9pm, in the week before Christmas, to help data capture a quarter of a million votes from the marked registers. It is a tribute to the strength of our local organisation and the commitment and support of our team, that we were able to do so at just three days notice. Here (above) is tonight's team - somewhat bleary-eyed, as they come to the end of one of our five constituencies. Four more to go! It is unfortunate that this was landed on us so late in the day as we usually complete this task over the summer months, but as always the West Kent team will rise to the challenge. Each year we host a Cheese and Wine Party at Christmas and for some reason (no doubt some would call it tradition!) Cllr Paperclips and I end up doing the catering. This involves a painful trip around the Cash & Carry and an even more pitiful two hours as we wrestle to make lots of platters of cheese look presentable, to meet the demanding standards of our members. Each of us have our own jobs - I cut the cheese and design the platters. 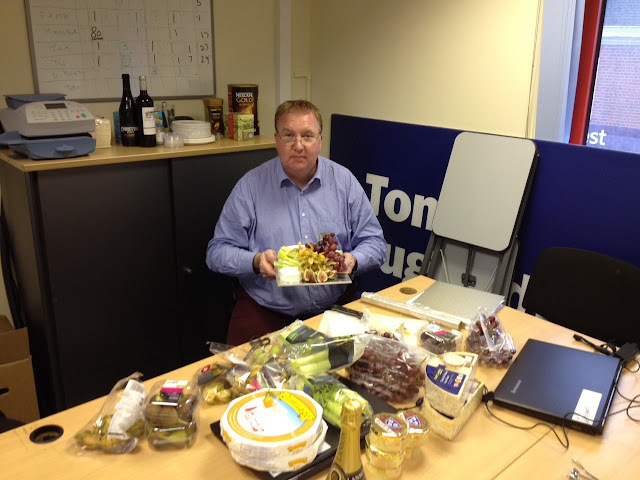 Cllr Paperclips peels the physalis and slices the figs. What happens at West Kent Towers stays in West Kent Towers - we certainly don't drop anything - and if we did no-one would know.... Would they? So wish us well as we head off for our annual Christmas Reception, with cars laden with cheese, biscuits, raffle prizes and wine. Our guest of honour this year is the Deputy Chairman of the Conservative Party, Rt Hon Robert Halfon MP. But first stop if the Royal British Legion Village in Aylesford where Rob Halfon has his first stop for tea and Christmas Cake with Chatham & Aylesford. 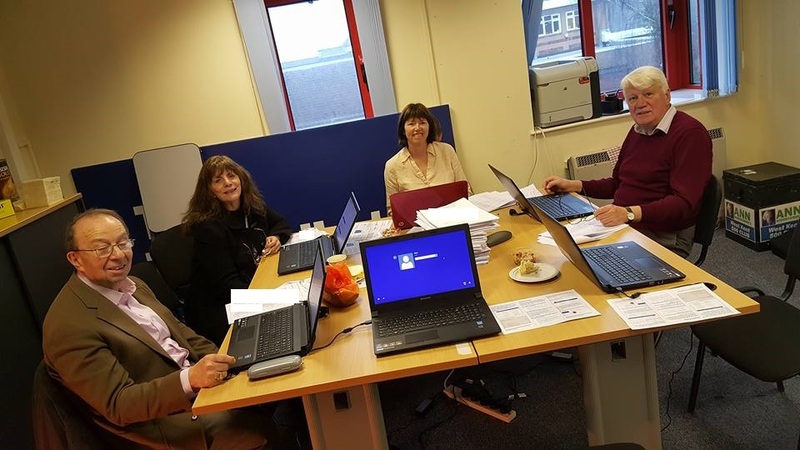 Our fabulous team of volunteers are working in four hour shifts (5 volunteers per shift, three shifts per day) to data-capture five constituencies-worth of marked electoral registers. The scale of this task is remarkable; in the next 5 days we are aiming to data-capture over a quarter of a million pieces of information. I am hugely grateful to the 45 volunteers who have given up their time in the run-up to Christmas to help us with this laborious task. This morning two further sets of marked registers arrived from our local councils. (For the record, marked registers are sold by local authorities to political parties at a high price which covers the cost of the photocopying and makes a margin for the tax payer). Both constituencies have the same number of residents (within 10%) so technically both piles of paperwork should be similar. 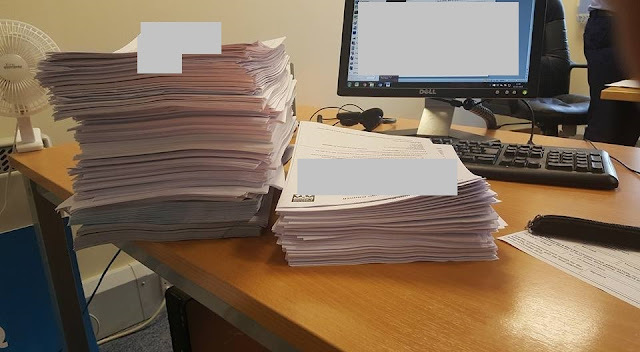 I won't embarrass either of the councils highlighted, but it's worth noting that the Council which sent me the pile on the right managed to supply exactly the same amount of information in 800 fewer pages than the other. That's almost two fewer reams of paper, 800 fewer photocopies and perhaps two hours of paid staff time. They achieved this by very simple means; they used a slightly smaller font and printed back-to-back. Now I admit in the great ocean of local government spending the above represents just a drop, though it is indicative of how thoughtful council staff can make a difference (or not as the case may be). Readers won't be surprised to read that the Council on the right charges over £50 a year less Council Tax on a Band D property! I usually arrive at West Kent Towers to find emails ranting about cuts or Syria. This morning, however, there was a very pleasant and unexpected surprise waiting for me. 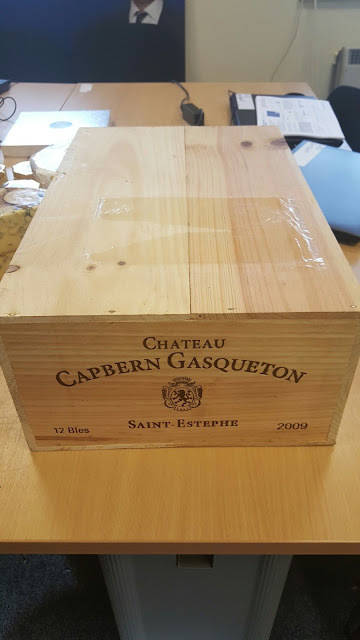 A wooden crate from Berry Bro's & Rudd (always a good sign) containing Bordeaux, from one of West Kent's MPs thanking me for my friendship and support over the last year. Then, within minutes, more fine wine one came along! This time from one of our Association Chairmen. This Bordeaux is like buses - you wait all year then two come along at once! And if any of our local branches or Ladies Groups are searching for raffle prizes - the answer is NO. This is going home with me before you get your sticky hands on it. 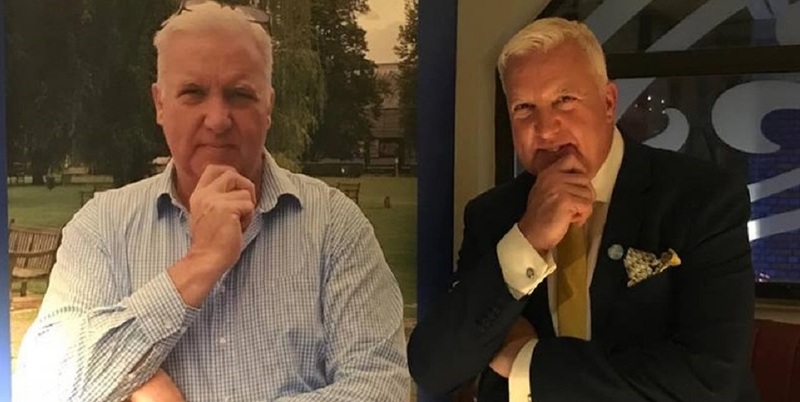 I seldom use this blog to promote third party causes, but I was pleased today to receive a press release from the Leukaemia charity 'Bloodwise' which highlighted the good work being done by one of our hard working activists, Brenni Wilson (wife of former Maidstone & The Weald Chairman, Cllr John Wilson). Nice to see how the "red carpet" set live whilst Cllr Paperclips and I trudge around Bookers Cash & carry in Chatham buying cheese for the Association's Christmas Cheese and Wine Party. 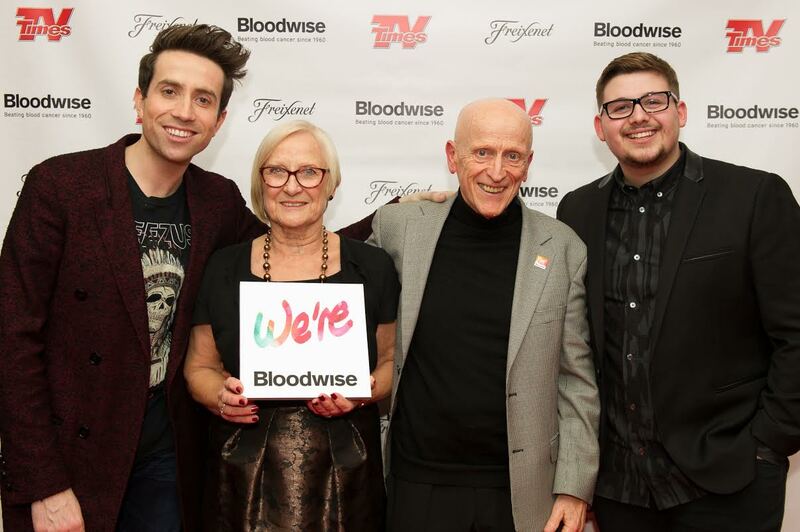 Maidstone leukaemia survivor Brenda Wilson relished in a red carpet moment with Radio 1 DJ Nick Grimshaw and X Factor finalist Ché Chesterman at the Royal Albert Hall on Tuesday (8 December). Ché gave a rousing rendition of “Try a Little Tenderness” in front of a packed crowd during the Christmas With The Stars event hosted by blood cancer charity Bloodwise. Ché then came backstage with Nick, his X Factor mentor, to chat to blood cancer patient Brenda and her husband John. Brenda, from East Farleigh, was diagnosed with acute myeloid leukaemia in January 2004 but is now in remission. Since her illness the couple have been keen supporters of Bloodwise, and taken part in many fundraising events for the charity. The couple belong to the Maidstone branch of Bloodwise, which has so far raised more than £365,000 for the charity. This winter, Bloodwise is hosting “Susan’s Appeal”, a fundraising campaign which celebrates the charity’s 55-year heritage and the community fundraising at the core of its existence. The charity was formed in 1960 in Middlesbrough by the parents of Susan Eastwood, a six-year-old girl who died from leukaemia, and has raised and invested over half a billion pounds in blood cancer research. In September 2015 the charity changed its name from Leukaemia & Lymphoma Research to reflect the scope of the life-changing work it carries out for all blood cancer patients. 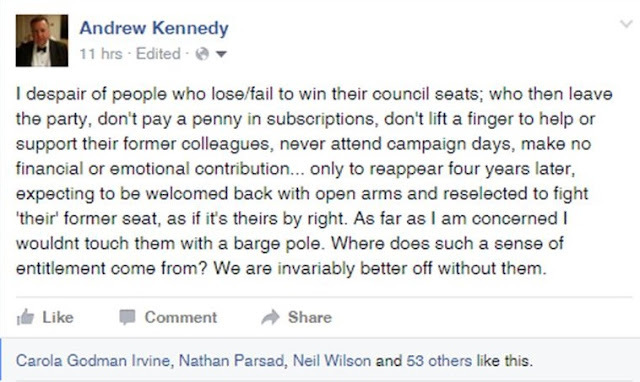 Within the last few days I received a message from a former councillor who lost his seat years ago, after what many may consider a lackluster campaign. Within weeks of losing he resigned from the Party and joined UKIP, standing (and failing) to be elected as a UKIP councillor. In the intervening time this former councillor has not lifted a finger to help his former colleagues or supported our candidate in the General Election or made any effort to re-establish contact with the association in any way. Then, out of the blue, he sent me a text to inform me he would like his "old seat back". Apparently after speaking widely to local residents there "is a mood for my return..." No doubt these were the same local residents who booted him out 4 years ago. Obviously this will be a decision for this Association's Local Government Committee not me, and if they decide to re-approve and select him then I will do my duty and work for the election of the Conservative candidate (as we all do, regardless of personal opinions on the individuals concerned). But I do find this sense of entitlement somewhat absurd. At times like this I think of the thousands of local members who give freely of their time and money, week-in, week-out, year after year, without expecting or seeking anything in return. They are the true stars of the Conservative party. And looking at the reaction to my Facebook post, I think many activists would agree! As I warned...Tories for Corbyn should be careful what they wish for. "What we failed to anticipate [in Merseyside in the late 1980s] was the 'radicalisation' of those who had previously given-up on politics or had never participated. 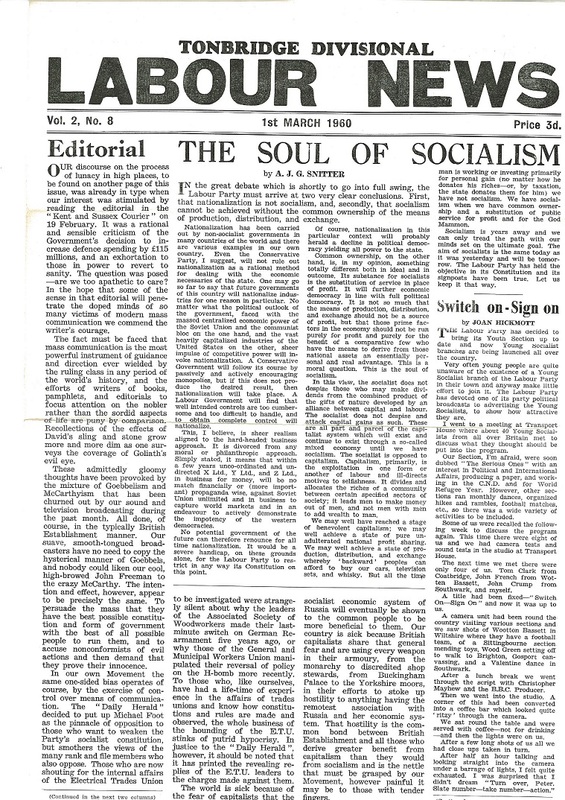 Just as those in search of spiritual understanding are attracted by the simple messages of evangelism, so those angry and disenfranchised with society were attracted to the equally simplistic messages of Militant Tendency. Turnout in the polling stations with the highest levels of social inequality and unemployment almost doubled, swamping any additional tactical Tory votes from elsewhere. 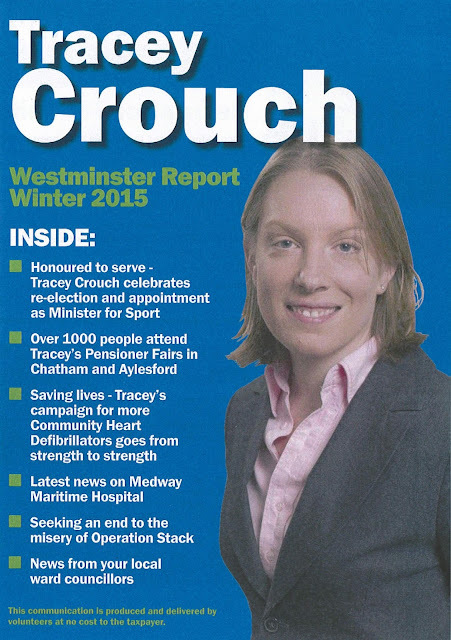 One by one the Tory seats fell - and with them control of Wirral Council. We have never controlled it since." Last night's result in Oldham indicates that I might just have been right. Despite three months of torrid headlines and at the end of a week when he reinforced his image, at least to Middle Britain, as an "apologist for terrorists" Labour not only retained the Oldham West and Royton but did so with a 7% increase in vote share. Labour's strategy is to me clear and obvious. That gives Corbyn somewhere between 35%-40%. Or sufficient to win a General Election. I have lived with militant politics and seen the effect its slogans have on people seeking simple answers to difficult questions. We might well be 10% ahead in the national polls, but slowly and steadily hundreds of thousands of previous non-voters are been politically re-engaged, and few (if any) of them are likely to vote for us. Coterminously the radical Left, which dissipated under New Labour, are being re-united for Corbyn. "Should Jeremy Corbyn win it will be great for our Party in the leafy suburbs of West Kent and Surrey and Dorset - but these are the seats which Labour don't need to win and probably never will. The danger for us is in the dozens of constituencies which we win against Labour with the benefit of differential turnout. These are the constituencies which will decide the government - and these are the constituencies which almost certainly contain thousands of voters in search of the simple answers than Burnham, Cooper and Kendall won't provide but Jeremy Corbyn might." Last weekend I spotted a link on a friend's Facebook page to an article in one of our local Tunbridge Wells newspapers. It was about two teenage lads who needed to raise £3000 each to finance a overseas school rugby trip in 2016. Rather than ask "the bank of Mum and dad" or take a usual part time job in a local shop, they launched their own business chopping and selling kindling wood to local residents. 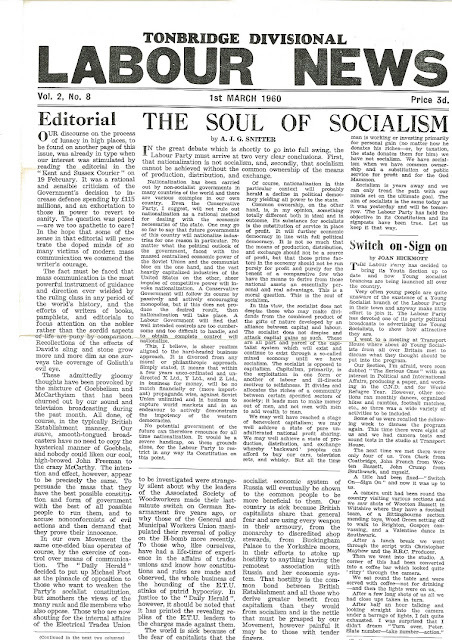 See HERE for the newspaper article. Entrepreneurship is not only inspiring but also the backbone of our future economic success. I was impressed that two lads would complete a hard day at local grammar schools, then come home, deliver advertising leaflets door to door to local homes to attract customers, chop wood then deliver it to help finance their own school trip. To support them I ordered four bags of kindling at £4.50 per bag (cheaper than my usual High Street supplier) which was delivered today to West Kent Towers. Thinking about their enterprise and how they could be supported, I struck on an idea. This week volunteers from Tunbridge Wells Conservatives were delivering thousands of leaflets door to door to advertise our forthcoming Christmas Fete. The reverse of the leaflet was blank. 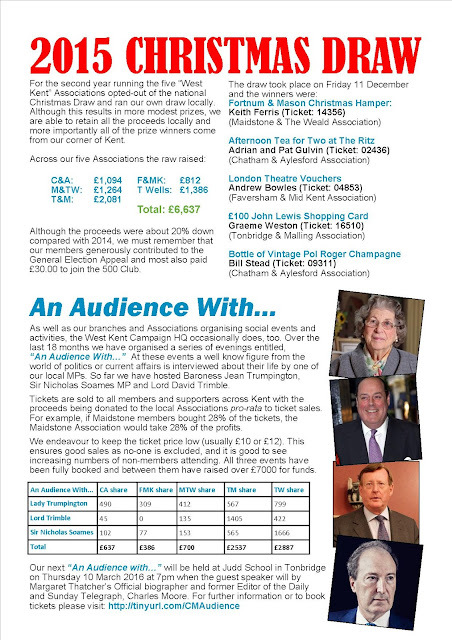 So having checked with the Association Chairman, who readily agreed, I asked them if they would like a free advert for their fledgling business ion the back of our flyer - and they said yes. So this week over 2,000 local households were not only informed about our Christmas Fete- but they also read about Joe and Matt's business and given contact details to place orders. 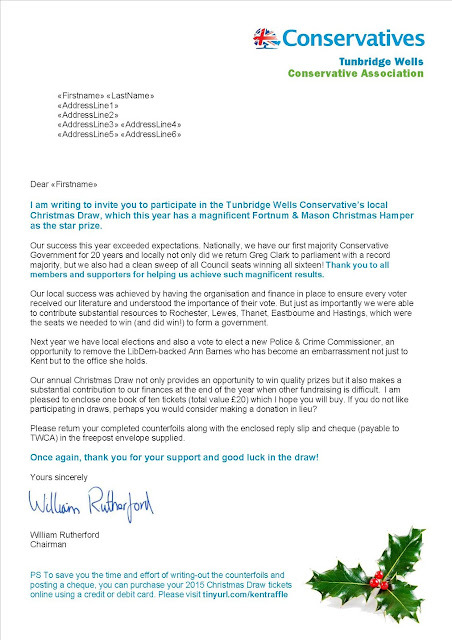 Doing this cost the Tunbridge Wells Conservative Association nothing, apart from £5 for the ink and 15 minutes of my time. We were pleased to do it and I hope it brings them some new business. What type of place are you running in there? Voice on intercom: "Delivery man"
Me: "Oh, what is it...?" Voice on intercom: "Well, I'm not sure what type of place you're running up there, but it's 750 orange ping-pong balls"
Me: "It's the Conservative Party." Voice on intercom: "Ha! I thought I was delivering to a Thai Brothel." A few weeks ago I blogged about the newly introduced room hire charges levied on those hiring rooms in Parliament for an event. For example, to hire the Pavilion Terrace for just under two hours, the fee is £2700. To hire the Members' Dining Room for the same period of time it is £4500. That is before the catering charges are applied. This makes using parliament unaffordable to most charities and voluntary groups, who must pass on the hire charges to their members. The introduction of this charge caused a degree of ill feeling on our recent visit, and understandably so. £2700 (or £4500) is not a lot of money to a major plc or international company, keen to impress clients. But to a voluntary group it is a small fortune and it makes parliament inaccessible to those on a low or fixed income. 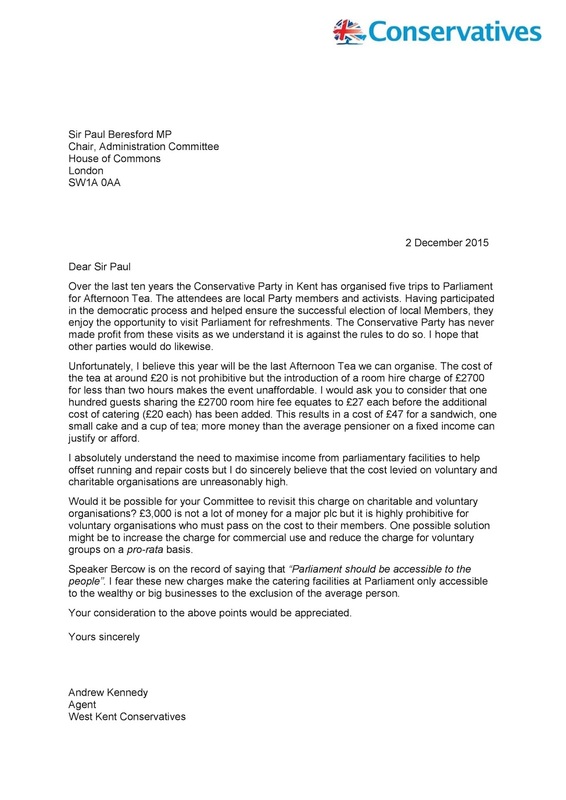 I have today written to the Chair of the House of Commons Administration Committee, Sir Paul Beresford MP, asking if the charge can be reviewed to ensure ordinary people are still able to enjoy what Parliament has to offer, not just big corporations and the wealthy. I should point out that this isn't a party political issue, all major parties have members of the Administration Committee. My thoughts today are with all our Members of Parliament, of all parties. They know the consequences of their vote and they know, whichever way they vote, they will either be accused of the 'murder of innocents' or of being 'apologists for terrorism'. The people making these hurtful accusations will have given little if any consideration to the turmoil and mental anguish every MP (certainly all those I know personally) have gone through over recent months if not years. MPs are parents too. To accuse them of not caring or considering the human suffering is to dehumanise them to an extent which is itself inhumane. And when I hear the Left say that our Ministers want a war as their friends are shareholders in defence companies and will be enriched by the conflict I feel physically sick. And they say we are the 'nasty party'. Much to the surprise of my friends I have never wanted to be a Member of Parliament as I don't think I would have the courage to make the type of decisions our MPs must regularly make. Nor would I have the patience to deal with the angry mob who will be first in line to condemn and accuse, whichever way the vote goes. The majority of those waiving placards "Don't Bomb Syria" and proclaiming "Not in My Name" have never, and will never, offer themselves for leadership. Chanting abuse from the safety of a barricade is not courageous or strong. When they slink off to their homes no-one will know who they are or what they believe. If the terrorists strike London and hundreds are murdered it won;t be them paraded in front of the angry nation explaining why Britain didn't act in the face of terrorism. Unlike MPs they won't be recognised in the streets and shops and abused for their beliefs. Nor will they be forced to defend those views at the ballot box. Voting for military action in the certain knowledge that many will be killed and that you will be personally blamed and hated by thousands requires courage and strength. We are fortunate to have MPs from all sides who are willing to stand up for what they believe. Regardless of Party they deserve our respect. 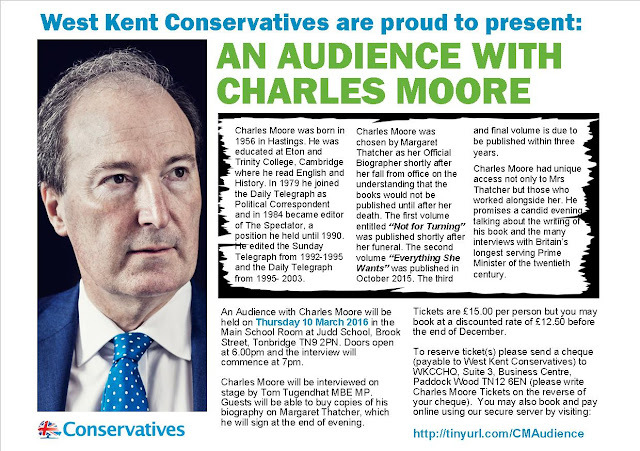 To reserve your ticket(s) for An Audience with Charles Moore please send a cheque for £12.50 per person (payable to West Kent Conservatives) to: Conservative Campaign HQ, Suite 3, Business Centre, Commercial Road, Paddock Wood, Kent TN12 6EN. Please note, the £12.50 rate is discounted for early bookings up to 31 December 2015. Tickets purchased after this period will be £15.00 each. Alternatively, you may find it faster and simpler to purchase your tickets online using a credit/debit card and PayPal using the payment option below. (Please note there is a 50p service charge added to online bookings). 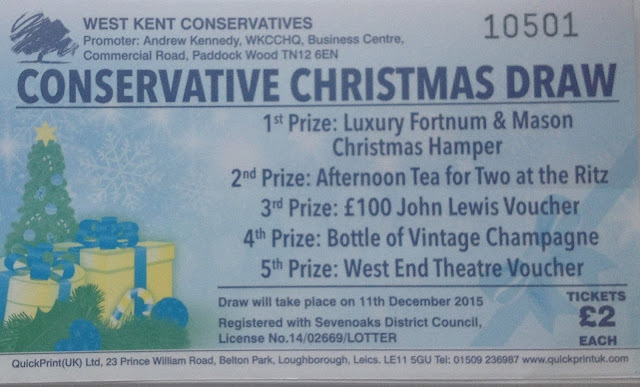 As with all events organised by West Kent Conservatives, the profit will be redistributed to the five local Conservative Associations in proportion to members attending. 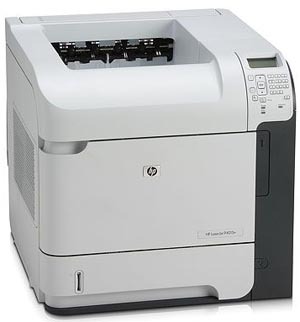 The West Kent Group has three laser printers which are now surplus to our needs, and we are keen to give them to a worthy home, rather than paying to send them to landfill. Two are mono HP Laserjet 4015 printers. They run at 55 pages per minute. The third machine is a Ricoh Aficio 240DN colour printer (see note below). 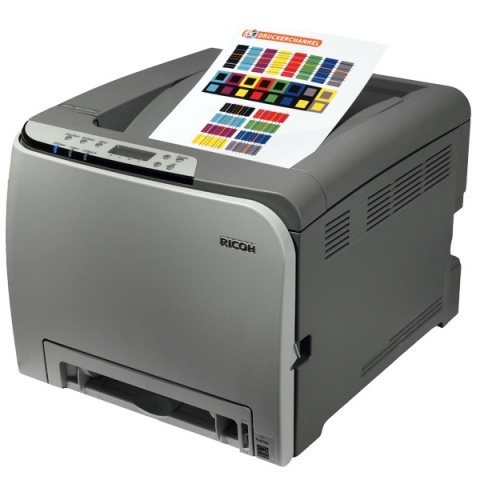 nb The Ricoh is relatively new but the colour toner cartridges are quite expensive and the machine runs slowly, so not suitable for long runs. All three machines have had heavy use, but are in working order though probably in need of a service. Our preference is to give them to another local Conservative Association or a charitable organisation rather than an individual. Please note - the machines will be given to you "as seen" on the basis you arrange collection. I have just received a telephone call from a lady who refused to give her name and called from a withheld number. I suppose of the many things he could be doing on Hampstead Heath at midnight, practicing witchcraft is cause for little concern. Another internal organisational post for the geeks and nerds, here is our Christmas Raffle reminder letter, being posted next week. You might note the 6th paragraph refers to buying the tickets online using a debit card. This is a new innovation for us and has proved remarkably successful. About 25% of income has come via online payments. We simply complete the stubs in their name and send the buyer a scan of the counterfoils - all of which is done by a volunteer at the office. What's most interesting about this method is the increased revenue. Most supporters buy the tickets we send them (£20 worth) but the average online spend is closer to £40. For those geeks (like me) who actually enjoy reading literature produced by other Association's, here is Tracey Crouch MP's latest Westminster Report. The only thing of note from an agent/campaigner perspective is how we try to localise this for each ward in the constituency. Whilst pages 1,2,3,4,5 and 8 are common throughout, pages 6 and 7 change for each ward. This allows the local councillors to tell their own local success stories it also gives a degree of local "ownership" and encourages prompt delivery. It also prevents one on my pet hates - two pieces of literature landing on the doormat at the same time. Producing 13 different versions is more time consuming and complicated (especially when councillors don't meet deadlines!) but I believe it's worth the extra effort. I have always championed "Mutual Aid" or "Campaign Support" as it's now called. 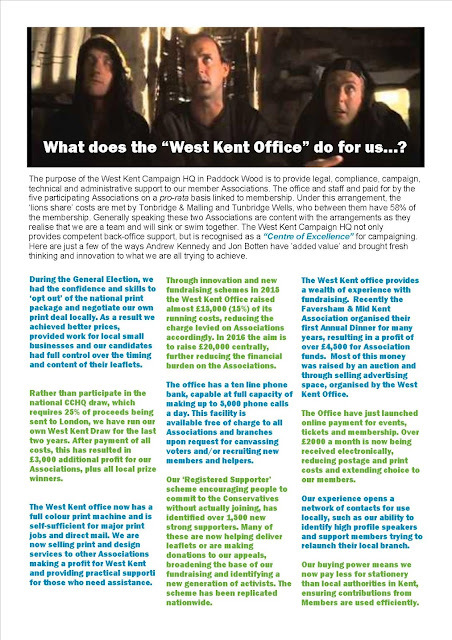 We are fortunate that in West Kent we have substantial resources behind us. In recent years we have provided coachloads of activists for almost every target parliamentary by-election, and in the run-up to May 2015 we provided around £20,000 worth of support (cash, printing and material support) to 40:40 target seats. It's the right and proper thing to do and something we are quite proud to continue. What really irritates me however is when that support is always "one way". I won't cause embarrassment by naming and shaming, but four years ago West Kent provided over 1,500 'man hours' of support to two Greater London constituencies for the Mayoral campaign. This involved between 20-40 activists every month, including all five local MPs. 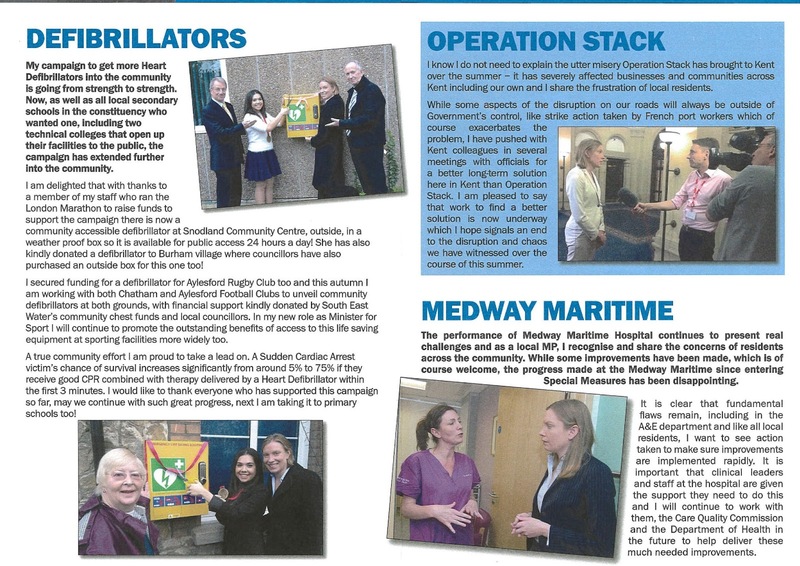 Yet despite this support, neither of these Associations managed to muster a single offer of assistance when West Kent faced five local by-elections in recent years. They didn't even manage to make a GOTV phone call. 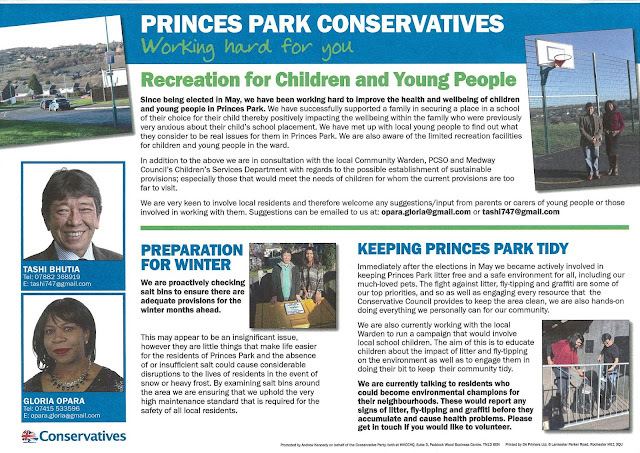 The local organiser from one of these constituencies phoned me recently to ask if we would be helping them again for Zac Goldsmith's campaign, and I think he was a bit surprised to receive a firm NO. West Kent will, of course, be pulling its weight for Zac - but we will be doing it somewhere else. In a recent Maidstone by-election the biggest single contingent of outside help came from Hastings - one of the smallest Associations in the South East. They came as a 'thank you' for the help we gave them a few months earlier. It was a kind and generous gesture - but also a good investment as the goodwill generated will certainly be reciprocated when needed. Likewise a couple of people also came from Swanley and Ashford; again a welcome gesture and greatly appreciated. In terms of Ashford that help is already being reciprocated with WK volunteers assisting in this weeks by-election there. What matters is not the volume of help, but that someone has made the effort - and making the effort is what really makes the difference and builds goodwill. Just two months ago West Kent Towers (with help and support from the great Ann Widdecombe) launched our new 500 Club. See HERE. 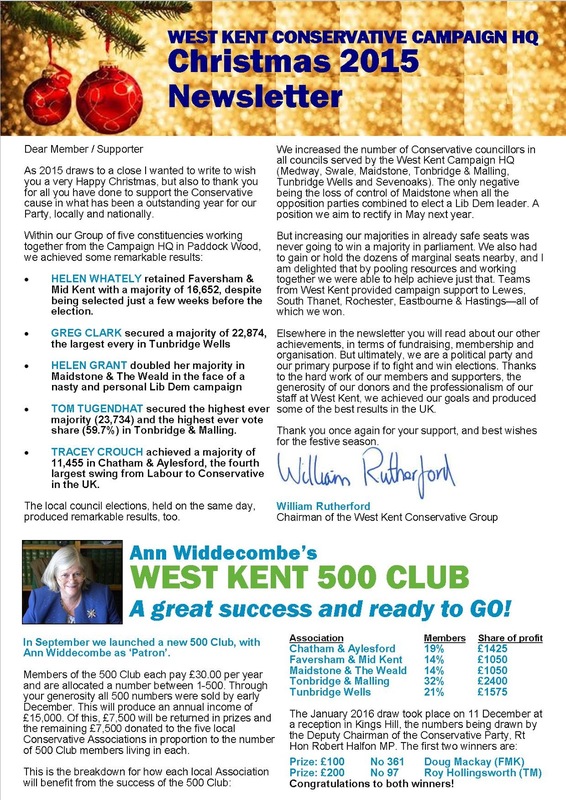 Our aim was to enroll 500 members to the 500 Club at £30 per year each. This would produce income of £15,000 (500 x £30). Of this, 50% would be returned in prize money and the other 50% retained to help fight future elections. At capacity the Club would raise £37,500 by 2020. In reality, I thought it was a big ask. After all, this was a General Election year. Our members have paid their annual subscription, paid again for the local and Parliamentary campaign appeals, bought Summer Raffle Tickets, attended fundraising events and responded to numerous CCHQ financial appeals. I was conscious there are only so many times you can return to the same well. I hoped the 500 Club would be a success, but in my heart I thought we would probably sell 300 numbers and have to reduce the prize fund (and profit) accordingly. I am delighted to say I was wrong. This morning we sold our 500th number and the Club is at capacity. In fact, we now have a waiting list. 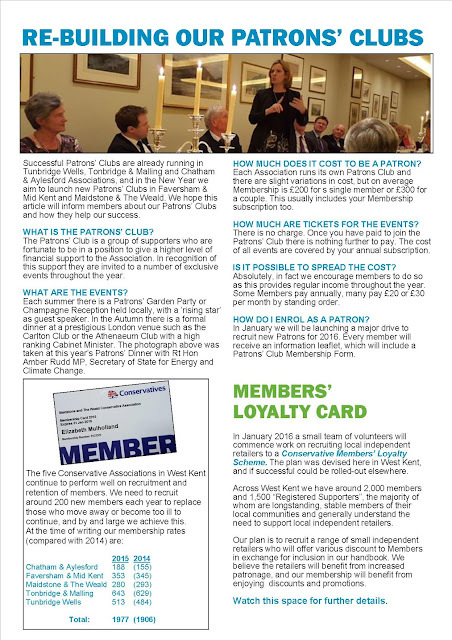 What's more encouraging is around 40% of the Club members (about 197 of the 500) are not Party Members - they are pledges and supporters who have never before been involved in our work or fundraising. Interestingly, all of these people have previously (at least twice in recent years) been invited to join the Party, but none have done so. This is further evidence of how we must adapt to changing expectations in order to survive and grow in the future. The success in attracting new donors demonstrates to me that people are happy to pledge their support and even open their wallets to help us. But they are not willing to 'join' - with all the suspicion and fear of commitment that membership entails. The reality is, had we written to these 197 new donors and asked them to join, very few, if any, would have done so. But offer them a new way to support us - something tangible with a specific purpose and outcome, and they are happy to enroll. Between them they have contributed £5910 to Association funds (of which £2955 is clear profit). I would be genuinely interested to hear if any other Association has attracted almost £3000 of new income since September. As we look forward to Lord Feldman's reforms, we must be brave and open. I have long maintained the old 'membership model' is due for fundamental reform. The success of this project demonstrates that hundreds of thousands of supporters are willing to donate if the offer is right and the purpose is clear. We must find a way to reach out to these supporters and involve them on their terms, not insist they join on ours. 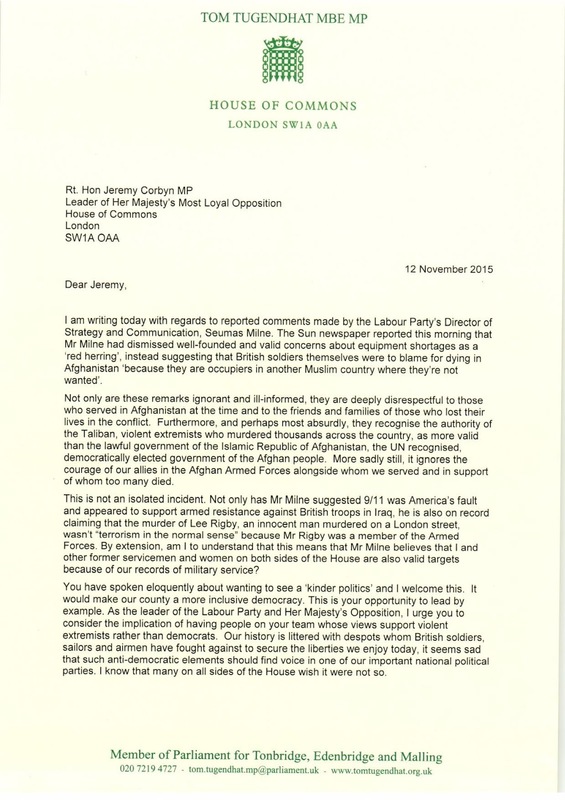 Many readers will have seen or read extracts of Tom Tugendhat's letter to Jeremy Corbyn regarding Seumas Milne's comments regarding the British soldiers having themselves to blame for dying in Afghanistan as they were... "occupiers in another country where they're not wanted." 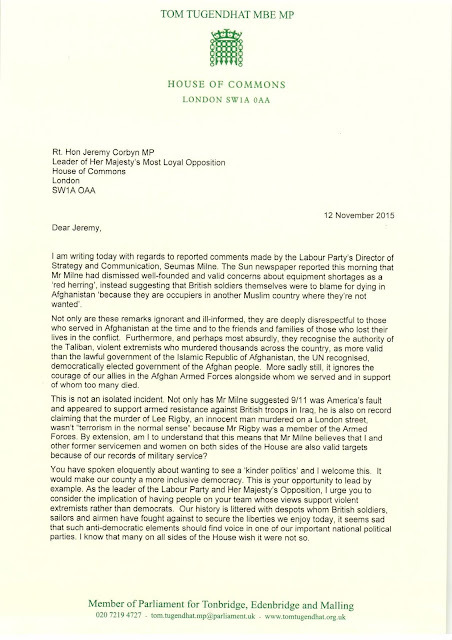 I am pleased to publish a full copy of Tom Tugendhat's excellent letter below. Baroness Trumpington - who spoke about her life as one of Lloyd George's Land Girls, her work at Bletchley Park and her campaign to secure a pardon for Alan Turing. Sir Nicholas Soames - whose personal recollections and reminiscences about his Grandfather enthralled and moved the audience. Lord Trimble - who brought a human and very light hearted assessment of 'The Troubles' and his personal journey from an intransigent Ulster politician to one of the signatories on the Good Friday Agreement and subsequent recipient of the Nobel Peace Prize. 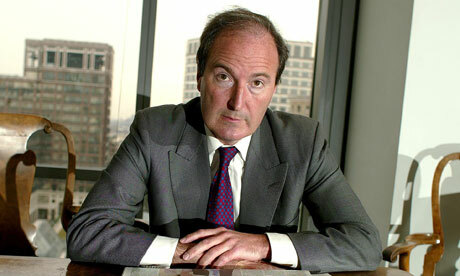 I am therefore delighted to announce that our fourth guest will be Charles Moore, who will be speaking about his work as Margaret Thatcher's official biographer, and in particular about the second (of three) volumes of her biography 'Everything She Wants'. An Audience with Charles Moore will be hosted by Tom Tugendhat MP at a venue in Tonbridge (to be confirmed) on Thursday 10 March 2016. Tickets will be £20 per person to include an arrival drink. A big thank you to Joe Mamo, Thelma Huggett, Bill Hills, Owen and Christine Baldock, David and Catherine Adams, Vivian Branson, Janet Sergison, Charles and Joyce Gadd, Allan Sullivan, Mike and Chris Parry Waller, John and Brenni Wilson, Jeff Tree, Ron Leagas, Gill Levine, Glynis Coates and Marion Cole. What a super team we have! Each year the West Kent MPs writes to every new resident inviting them to participate in a Residents' Survey, with an opportunity to offer political help and support. We have now produced these smart DL sized cards, which our ward councillors will be delivering each month to new residents moving into their wards. For those interested in what we do in West Kent, here is our 2015 Christmas Draw letter and reply slip. 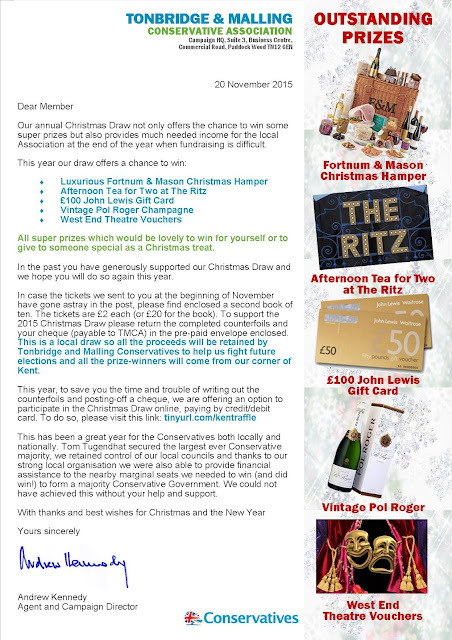 We have deliberately sent them out late this year as we needed to leave a couple of months between the launch of our 500 Club and the Christmas raffle. A high price to pay for tea! Every two years or so I arrange a visit to Westminster for Afternoon Tea. It is not a fundraiser and never has been; the cost of the tea and the coach hire is so high that it would be almost impossible to add a margin for the Association - and even if we could do so we wouldn't as it is against the rules to profit from events at Westminster. In fact, once we take the printing and administration into account, it probably costs us money. It is, however, a nice thing to do. A basic Afternoon Tea (cup of tea, finger sandwiches and a cream cake) is £20.00, similar to what one would pay in a decent tea shop but less that a top hotel. In fairness, given the location I don;t think that is unreasonable. This year however, for the first time, the parliamentary authorities have introduced a "room hire fee". Again, I have no problem with the principle of this provided the fee is fair and reasonable. And that is the problem. The room hire fee for the terrace pavilion is £2700. Considering we are going to be there for two hours, that's a hire charge of £1350 per hour. If we had selected the Members' Dining Room instead of the Terrace Pavilion, the rate would have been an eye-blistering £4500! Had there been 100 people attending, the £2700 room hire would have to be divided between them resulting in a charge per person of £27 before the cost of the tea (£20) and the coach travel (£10) was added, resulting in a cost per person of £57. Fortunately we have managed to attract 150 guests which has reduced the hire charge per person to £18 (plus £20 for the tea and £10 travel) so the total cost per guest is £48. Still high for three finger sandwiches, tea and a scone! I appreciate the Palace of Westminster is a prestigious venue and in times of austerity monetising the parliamentary estate to offset running costs is the right thing to do. However there is a balance between charging major corporations (for whom £2700 is an insignificant sum) and imposing what many would consider a punitive tariff on voluntary organisations. The UK Parliament prides itself on being open and accessible and rightfully so. Sadly I cannot see how pricing parliament out of the reach of so many helps achieve this goal. I hope a number of MPs will take up this issue and ask the House of Commons Administration Committee to look at this again. 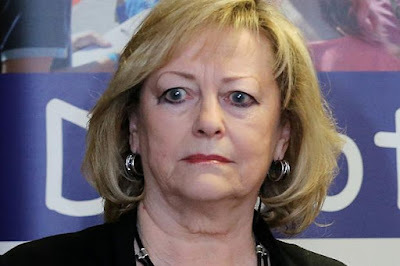 The newspapers, comments sections and social media sites are once again filled with stories about Kent’s Police & Crime Commissioner, Ann Barnes; a woman whose name is prefaced so often by the word “embattled” that it could have been written on her birth certificate. This time it is confirmation from the IPCC that she did indeed break the law by driving without insurance, though, bizarrely, the CPS chose not to act. What I find most ironic are the online comments. Three years ago such comments were crowded with her champions, saying how wonderful it would be to have and “independent” Police Commissioner. These voices are now strangely silent. In their place is an online poll indicating that 90% want Mrs Barnes to resign, and vitriolic remarks about her abilities. I struggle to contain my schadenfreude. With every catastrophe comes the rehearsal of the stale arguments that the whole endeavour is a waste of money. But Ann Barnes’ incompetence proves exactly the opposite to be true. For seven years prior to her election Ann Barnes was chair of the Kent Police Authority, an organisation which (more or less) had the same powers as she now wields alone. But her emotional spasms, ineptitude and inability to form sound judgement did not suddenly materialise in November 2012 when she was elected. Her previous leadership must have been affected by the same incompetence, but because she was neither elected nor accountable she avoided the spotlight of public scrutiny. The old Police Authorities were beholden to the patronage of various Council Leaders who had the power to appoint and remove its membership - none of whom were accountable to the people who paid the bills. Now Mrs Barnes’ inability has been exposed, the people of Kent have the power to remove her from office, which they no doubt will should she be sufficiently myopic to seek re-election. That option would never have been available had direct elections not been introduced. The office of Police & Crime Commissioner is not perfect, but I hold today the same view that I held four years ago; it is a significant improvement on what went before. The person responsible for police budgets and priorities is exposed to the spotlight of public opinion which was never previously the case, and the public have the power to jeer her off the stage. It is a tragedy that the people of Kent have had to pay such a high price to enable the point to be made.